The 1967 Mustang GTA that Jason Blundell and his two teenagers created out of the white stuff was so realistic, a Nebraska state trooper “ticketed” it, the Omaha World-Herald reported. Blundell, 43, a concrete plant manager in Chadron, and his kids — daughter Shelby, 17, and son Spencer, 15 — shoveled snow from their neighbors’ driveways Saturday to create a massive mound, the newspaper reported. They spent the next five hours creating a clone of the 1967 Mustang that is stored in their garage and later posted a photo on Facebook, the World-Herald reported. Nebraska State Patrol Sgt. Mick Downing heard about the creation and drove to the Blundells’ home. Upon inspection, he issued a pretend towing notice on the car, and then posted a video on social media. The car sculpture is now tagged #SnowPony on social media, the newspaper reported. 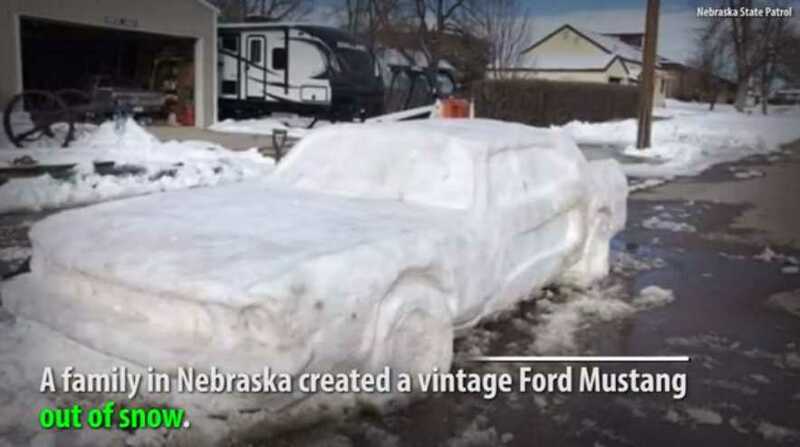 The Blundells used a skid loader, concrete wood floats, shovels, ice scrapers and a squirt bottle to create the Mustang, according to the World-Herald. 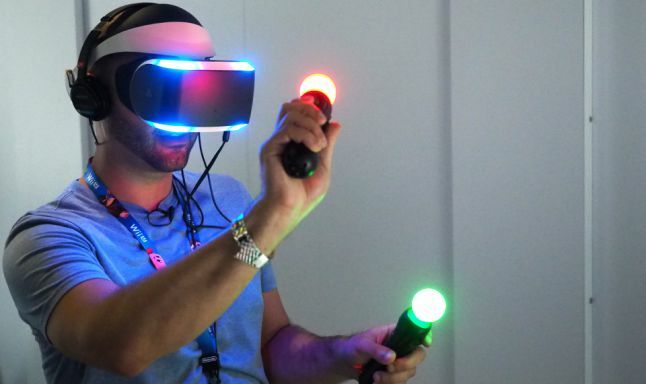 “We actually had somebody come by while we were building it and they thought we were burying somebody’s car,” Jason Blundell told the newspaper. The Blundells have made other sculptures, but the trooper’s video gave the Mustang more notoriety. Downing enjoyed the car and was happy to write the “ticket,” but he said he knew it was all in fun. “If it would’ve been a real car, it was parked just fine,” Downing told the newspaper.